2018 Runway Fest is coming! It's one if by air, and two if by wheels, and three if you're going to use your feet. Lots of options for this year's Runway Fest. You can fly in Saturday morning, the first of September, and be here in time for a pancake breakfast. All good pilots know pancakes are one great incentive to fly. There will be Young Eagle flights for 8 to 17 year olds going on Saturday. With your feet on the ground, at least for a little while, you can wander the grounds to see all kinds of earth bound vehicles, including food trucks. There will be tractors, and trucks, and cars, and bikes. If you've got one you're proud of, bring it to the airport. We've got lots of room and would love to see you here. New this year is a 5K Night Run around the airport. We going to do this on Friday, 08/31, at 9 pm, so by the time you're done you'll know the difference between taxiway lights, runway lights, and the runway end identifier lights installed this summer. Please click on one of the links to register or at least find out more about the 5K run. With the help of the EAA (Experimental Aircraft Association) over 200 passengers and numerous visitors experienced the early years of flight. 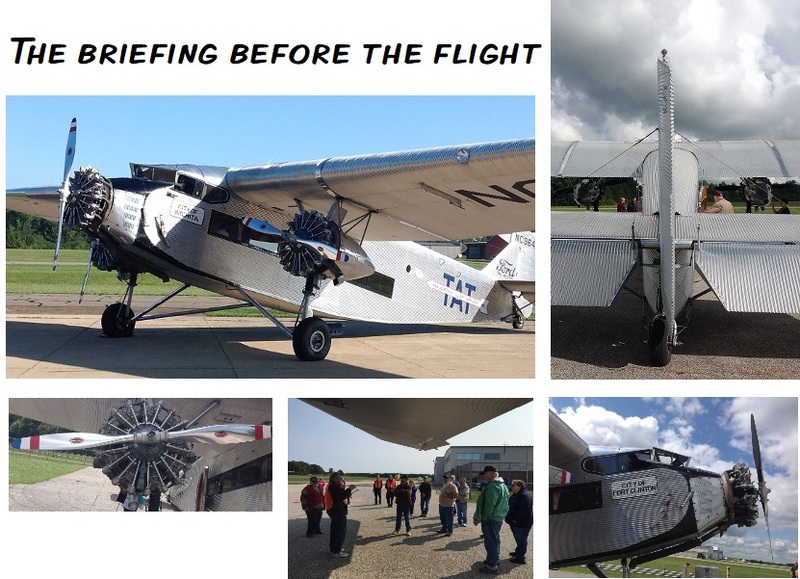 Our local EAA Chapter 1591, working with the EAA, brought a 1928 Ford Tri-Motor to Portage County Regional Airport. 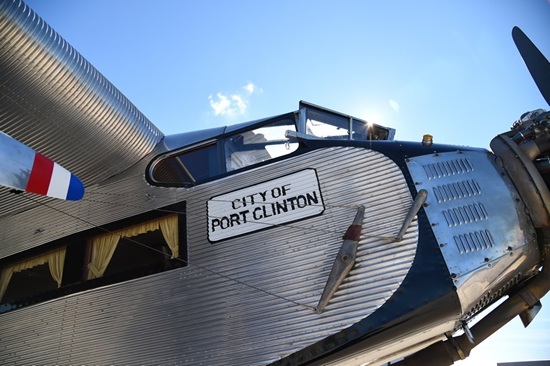 From Thursday afternoon, September 7, through Sunday, September 10, you could fly on the Tri-Motor on short hops over to the KSU airport or out to West Branch reservoir. Flying at an altitude about 1000 feet above ground level, the views from the large windows in the Tri-Motor were mesmerizing. It was easy to pick out local landmarks that we drive by each day, but at 1000 feet it's an entirely different perspective. 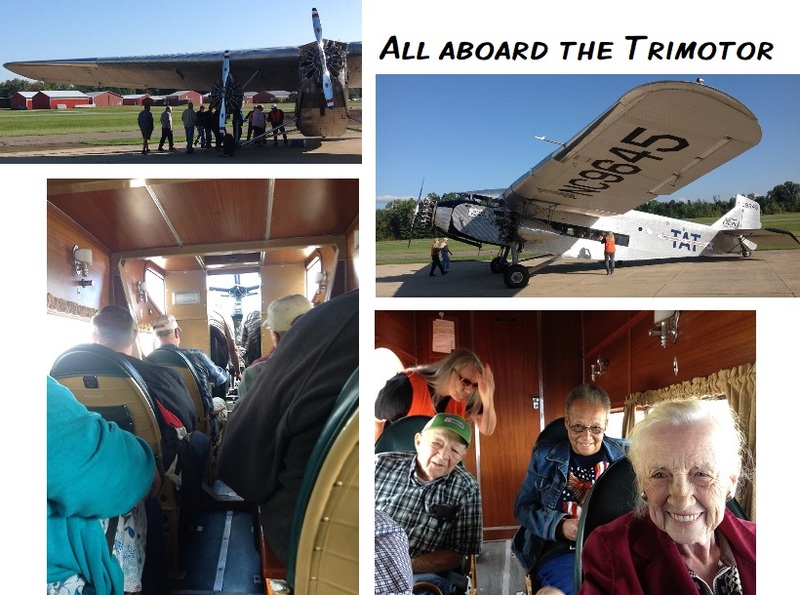 A lot of people made the Ford Tri-Motor visit successful. As usual volunteers are the backbone of any successful event. Thanks to all the folks who put on the orange vests, and those behind the scenes who provided support. 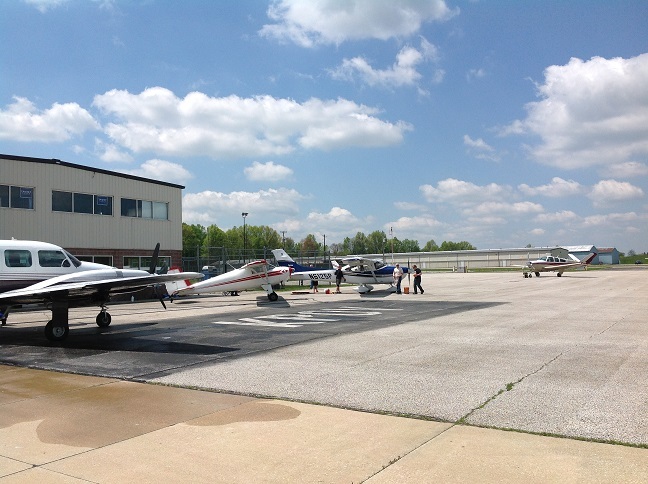 Thanks to Portage Flight Center for providing hangar space for nearly a week. We know that was an inconvenience. We really appreciate your help. And a special thanks to Chris Mars, the president of our local EAA chapter. He was optimistic enough to try to get the Tri-Motor visit arranged, even though our EAA Chapter 1591 isn't a year old yet. Finally, thanks to all of you who took a ride, and those who just like to hang out and see airplanes. It was fun, wasn't it? 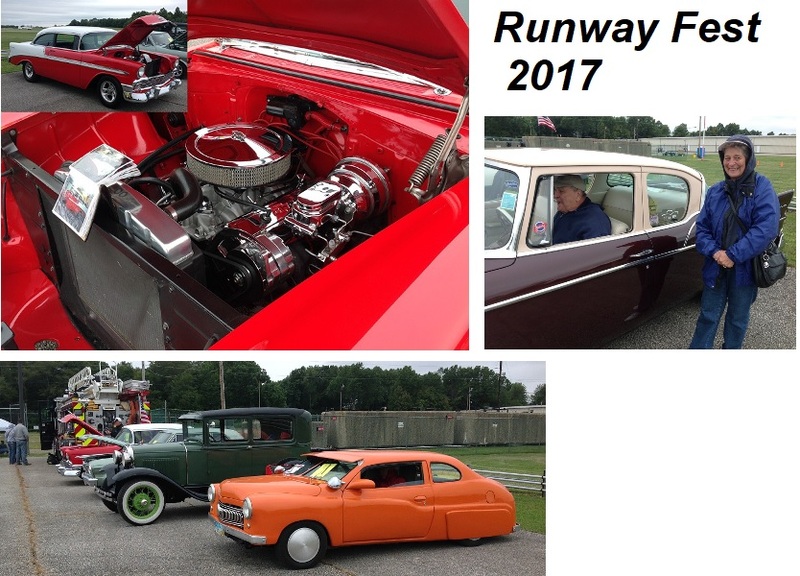 The 2nd annual Celebrate Portage Runway Fest Fly-in/Cruise-in was held on Saturday, Sep. 02, 2017. The weather didn't cooperate. It was cool, a bit rainy, and the pilots would have liked higher cloud ceilings. But there were a lot of smiles for those attending. 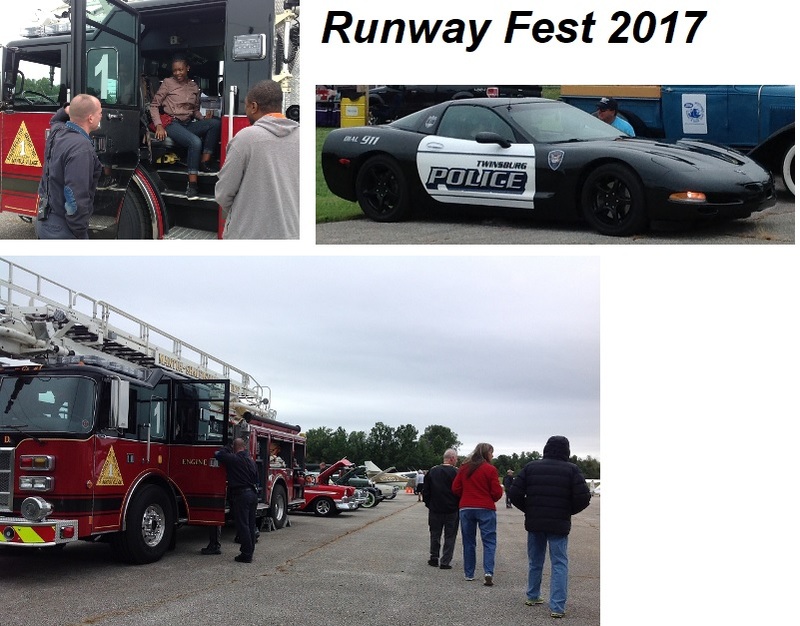 A number of folks brought vehicles ranging from fire trucks, courtesy of the Shalersville fire department, to Twinsburg's Corvette police car, to those green machines more comfortable plowing up a field, to cars you'd love to cruise in. Oh yeah, and there were airplanes and helicopters. 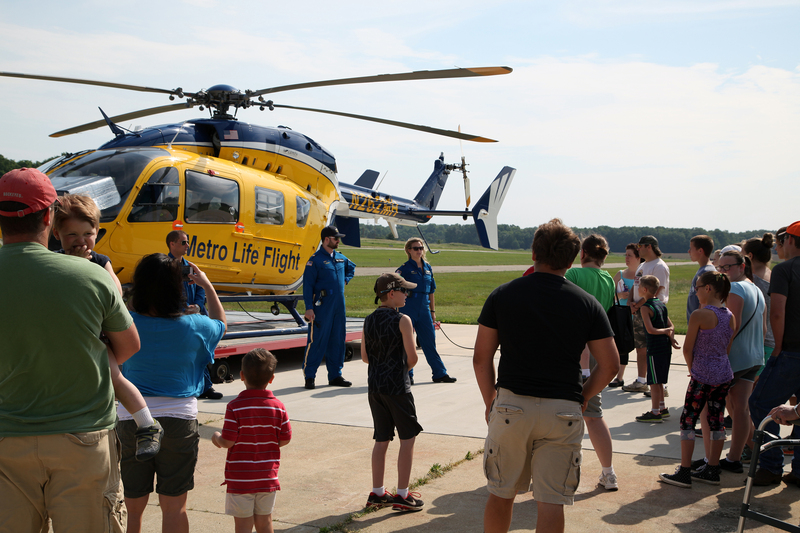 We got to see Metro Life Flight's helicopter in action. Probably the best part of the day was the Young Eagle flights for young people 8 to 17 years old. The Young Eagle program is sponsored by the EAA (Experimental Aircraft Association). 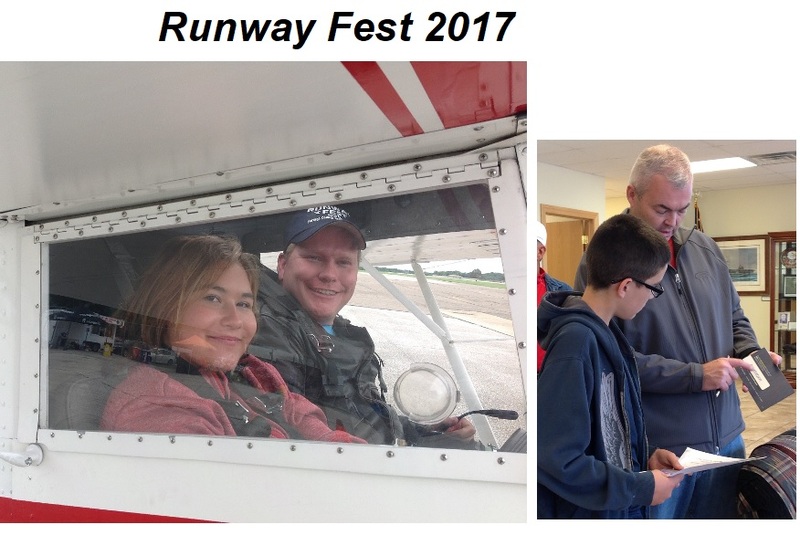 Chapter 1591, our local EAA group, solicited volounteer pilots to donate their time, skills, and airplanes to share the joy of flight with the youngsters. After a brief registration by the parents, the kids were shown how an airplane works, what makes it go up, down, right and left. A fifteen to twenty minute flight followed, and then the smiles for both passenger and pilot. Thanks to the volunteers who made the event possible. Thanks to the food trucks. Thanks to the pilots and EAA Chapter 1591. 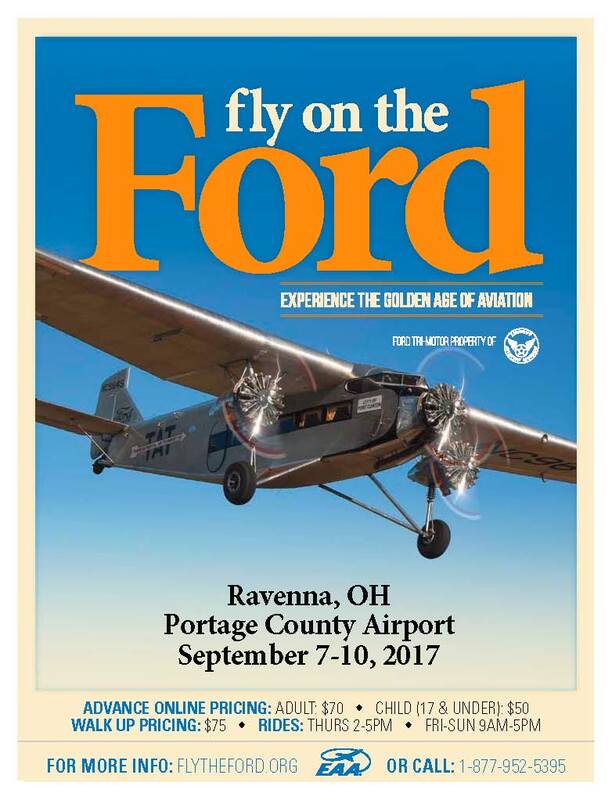 Come see the EAA (Experimental Aircraft Association) Ford Tri-Motor airplane and take a ride back in time. Book your flight now! 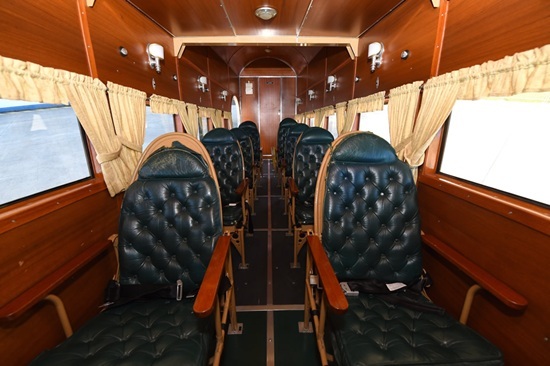 Visit EAA website to book a flight on the Ford Tri-Motor. 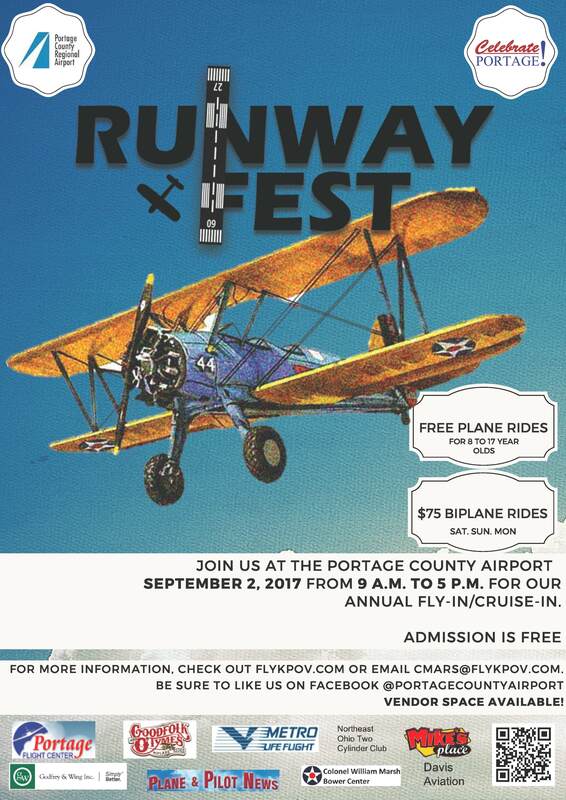 Runway Fest at Portage County Regional Airport on Saturday, Sept. 2, 2017. 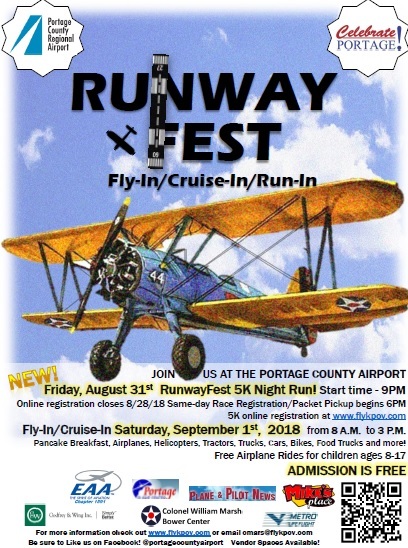 Join us for our 2nd annual Celebrate Portage Runway Fest Fly-in/Cruise-in, Co-hosted by the Northeast Ohio Two Cylinder Club. Come display your antique or custom tractor, truck car, motorcycle, airplane, helicopter, military vehicle, etc. If it has an engine (and maybe even if it doesn't) we want it here! 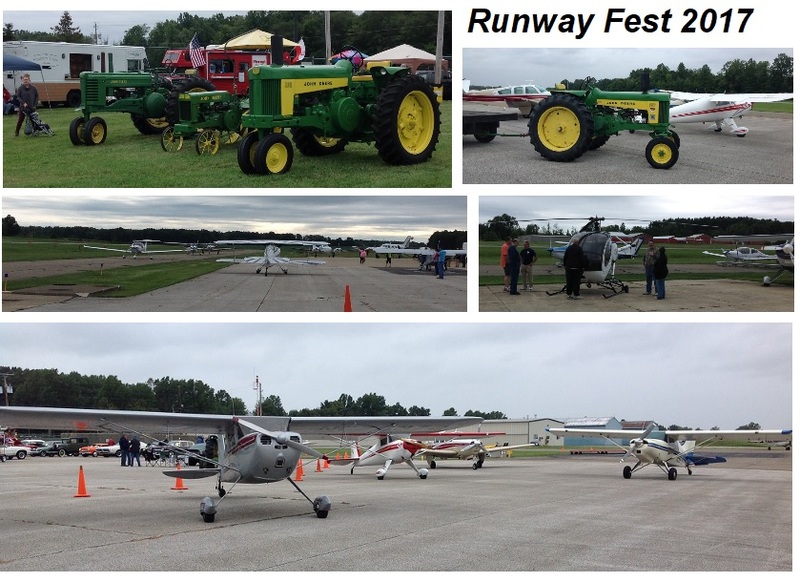 Saturday, September 2nd, 9 AM-5 PM at the Portage County Airport. Awards will be given at 3PM for the most unique vehicles in each category. Admission is free, no registration fee! There will be airplanes to see, beautiful cars on display, and free, Young Eagle flights for 8 to 17 year olds. 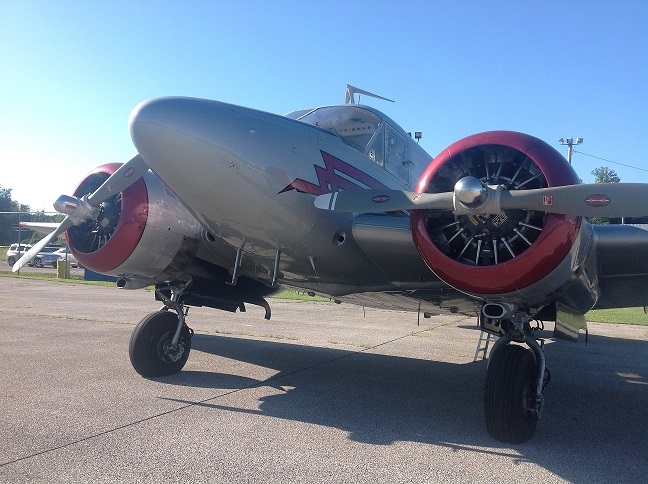 These flights, sponsored by the EAA (Experimental Aircraft Association), will be flown by local pilots who will be donating their time and airplanes to offer young girls and boys an introduction to flight. 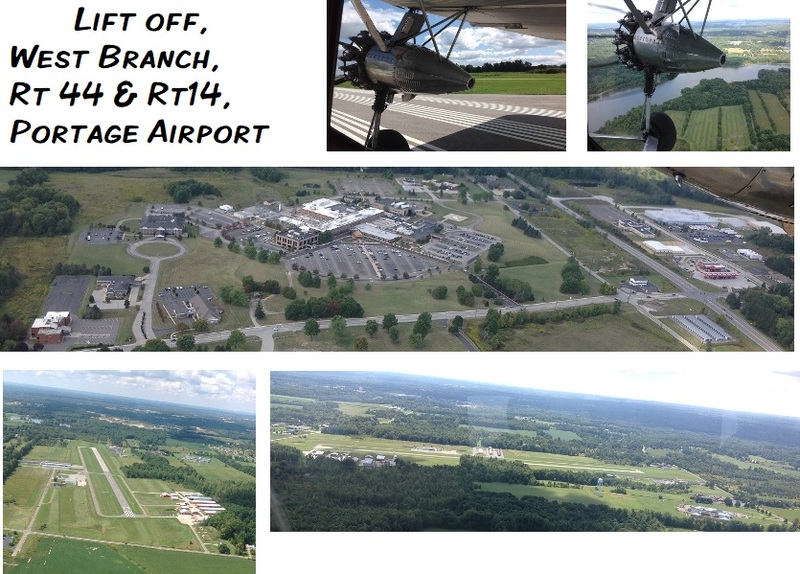 Our local EAA chapter, 1591, will be organizing the Young Eagle Flights. 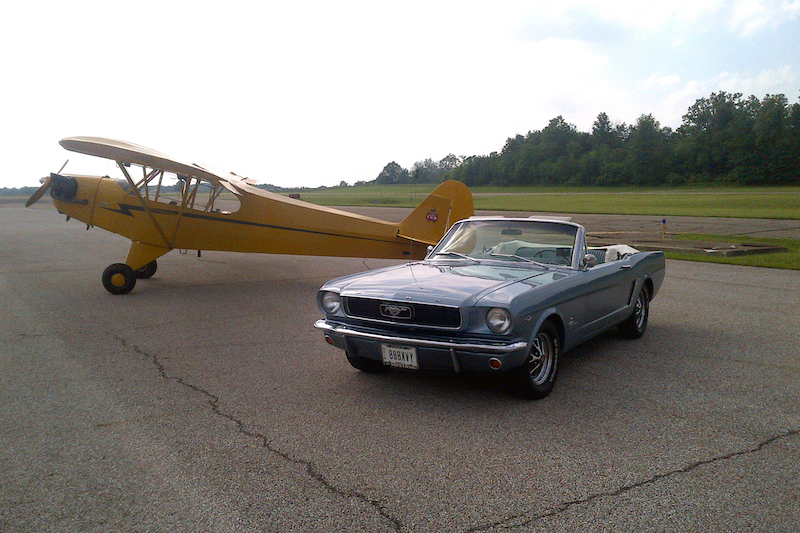 If you don't meet the age limit for a Young Eagle flight, come fly in a vintage biplane for $75. The biplane will be at the airport on Saturday, Sunday, and Monday. Finally a dry day for the Boy Scouts to raise a little money by washing planes. Seven planes got washed and the owners supported a good cause. Portage County Regional Airport hosts airport educational tour and lunch for the children, parents and sponsors of 4-H Club Portage County Shepherds. Chris Mars, Board member, Portage County Regional Airport led the tour at 10AM with his passion and knowledge of aviation. “It was great to have so many young people out at the field today. Saw lots of smiles, answered a lot of questions, and hopefully sowed some good seeds. Can't wait to get them up for their first airplane rides,”stated Chris Mars. The Wright family were one of the attendees who enjoyed the educational tour today. “I think it’s great and inspiring for kids and neat to know what’s out here,” stated Karin Wright, resident, Shalersville, Ohio. 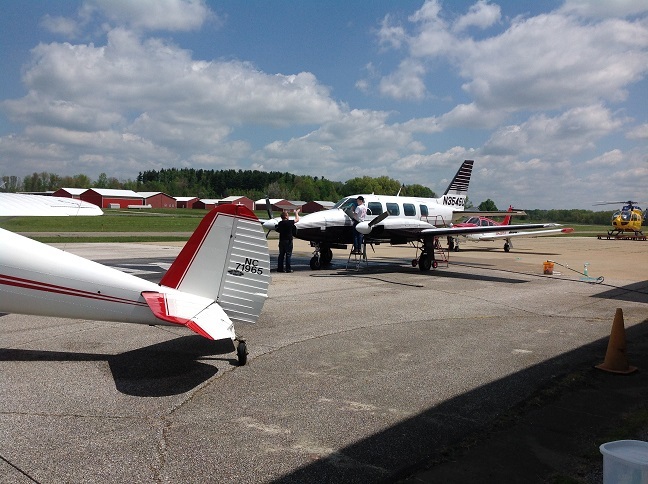 “I think the experience with the County Airport is phenomenal from the first phone call to today’s event,” commented Lesa Carson, Portage County Shepherds 4-H Club Advisor, who coordinated the tour with the County Airport. The Portage County Shepherds 4-H children were able to sit inside and learn about the airplanes and Cleveland Metro Life Flight’s helicopter, the first air medical program in the area. “[Portage County Regional Airport] is a great organization and glad to help them out," stated Kelly McGoldrick, Flight Nurse Specialists, Metro Life Flight. President of the Board, Portage County Regional Airport, Chris Gilmore participated in the tour by inviting the children inside his twin engine plane. 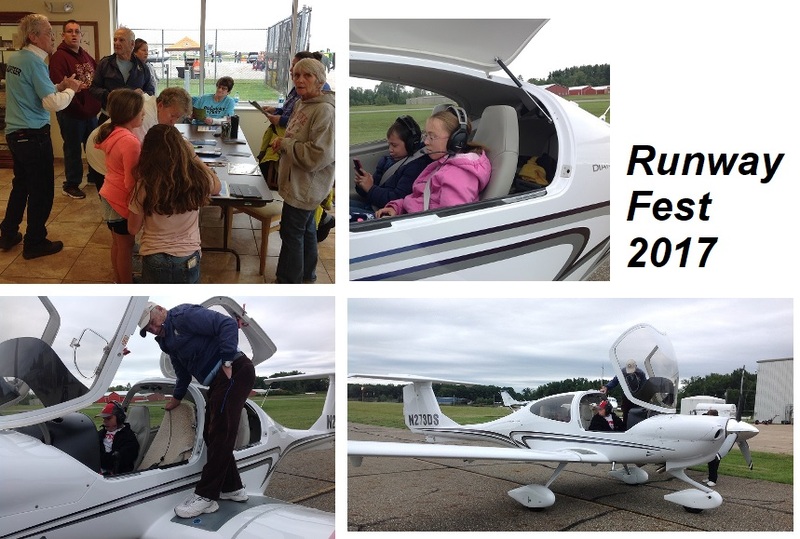 “I was very proud of how the business, aviators and friends of Portage County Regional Airport all came together to share the magic of aviation with the children, parents and sponsors of the Shepherds 4-H Club. What a great day for all!,” commented Chris Gilmore.